On hot summer days, the last thing any mom wants to do is heat up the house by cooking a complex meal. Fortunately, you don’t have to. 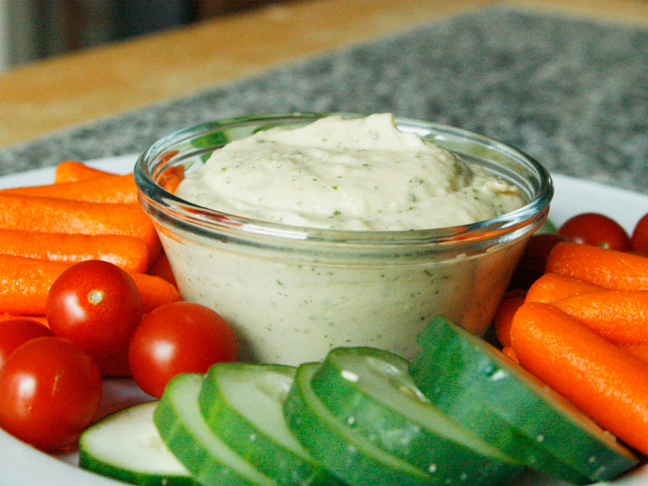 With a few simple but flavorful ingredients, you can create an unforgettable—and delicious—dip that makes a veggie lunch awesome. Hidden Valley® Original Ranch® Garlicky White Bean Hummus is a super flexible recipe, which means you can adjust it to your liking. Not a garlic fan? Use one clove instead of two. Have some garlic scapes? Chop one scape and use it in place of the garlic. Want it to be a little cheesy? Add 1/2 cup freshly grated Parmesan. Want to dial up or down the flavor? 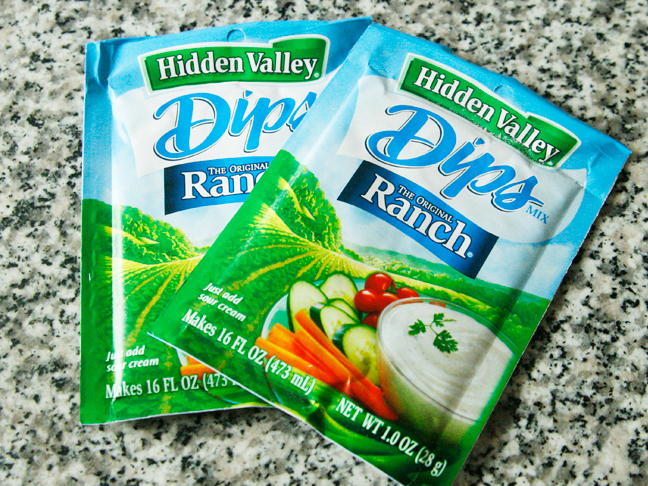 Add the Hidden Valley® Original Ranch® Dips Mix a little at a time until it’s just how you like it. For my family, this is the way we love it — nice and garlicky, and totally bursting with Ranch goodness. Serve it up with whatever veggies you have on hand, or whatever is freshest. It’s delicious with carrots, sliced cucumbers, sliced raw summer squash, grape tomatoes, celery and more. 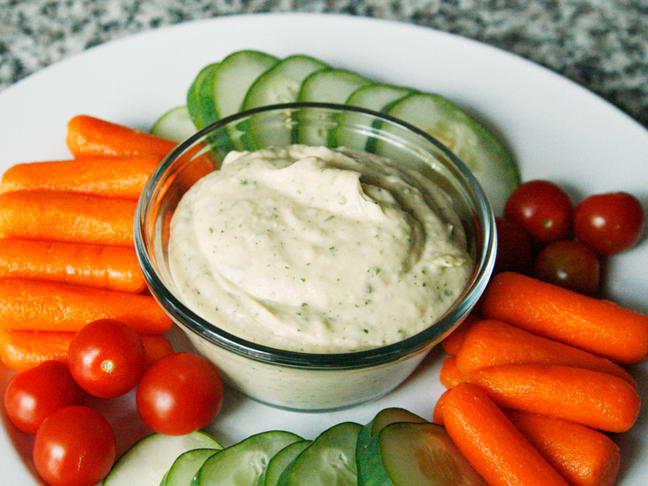 It can also be used as a sandwich spread: try it with your favorite veggies and grilled chicken in a pita pocket. 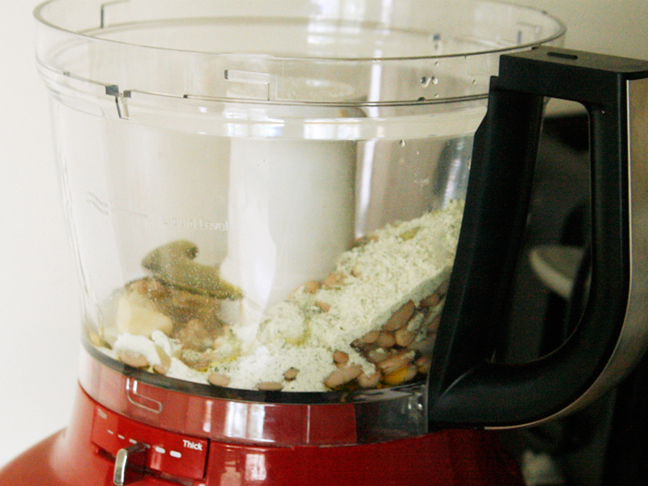 Step 1: In the bowl of a food processor, add the beans, Hidden Valley® Original Ranch® Dips Mix, garlic, and olive oil. Step 2: Process until smooth (about 1 minute). Transfer to a serving bowl. Step 3: Serve with your favorite summer veggies for a delicious, light summer lunch that won't heat up the house. Refrigerate unused portion within 2 hours of preparation.